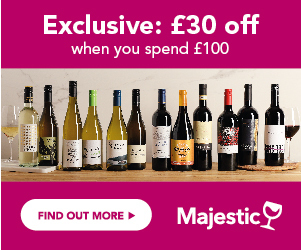 FromVineyardsDirect.com is a UK online wine retailer. They have 300+ wines carefully selected from France, Spain, Italy & New World wines. They also have a fantastic selection of sparkling wines, Gin, Vodka and mixed cases, all with free UK delivery! FromVineyardsDirect was created by David Campbell, who invented the Guide Hachette des Vins, and Esme Johnstone, founder of Majestic Wine. Their business model is quite unique as they import their wines directly from growers around the world, allowing them to choose the best quality and sell at prices below traditional merchants. Orders will only be dispatched after payment has been confirmed and will normally arrive within a week. See full T&Cs on FromVineyardsDirect website. To celebrate our brand new partnership, FromVineyardsDirect is offering you a chance to win a case of the delicious Chateau Citran 2005 from Haut-Medoc, Bordeaux, worth £275.40! To enter, just fill in the form below to sign up to their newsletter. The winner will be drawn at random amongst the participants. Hurry, competition ends on Monday 30th November 2015! eRobertParker.com #219 June 2015 This competition ran from the 30/10/2015 until the 30/11/2015 23:59.